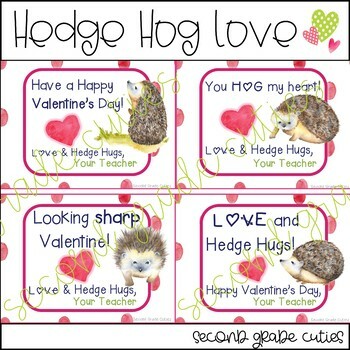 Valentine Day Cards you can EDIT for teacher or student to fit your personal classroom needs . 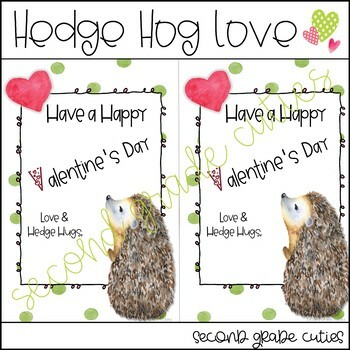 These are sweet little 'Hedgehog themed' cards that come in all different sizes(half sheets, four on a sheet, or fold over.) You're all ready for a sweet little card exchange with this set. 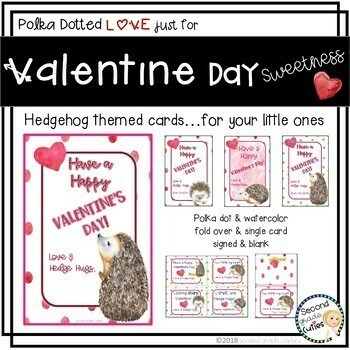 Beautiful water color 'Polka Dotted & Heart' cards, that have a huge variety of kids to choose from. 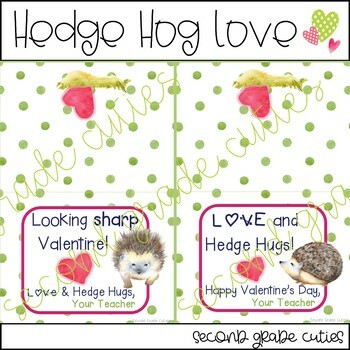 *FOLLOW ME HERE at Second Grade Cuties. *And HERE on INSTAGRAM. Always fun to see resources in action!